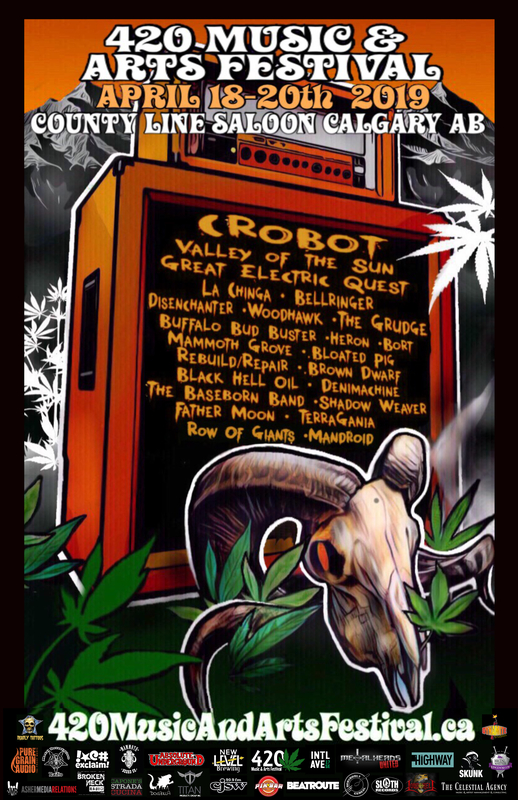 w/ Crobot, Great Electric Quest, Valley of the Sun, Disenchanter and More! with musical accompaniment from Hypnopilot and tasty munchies provided by Dogzilla! A new addition to the festival this year is a custom 420 Music & Arts Festival beer, which will be unveiled prior to the fest on March 29, 2019, at New Level Brewery (7005 Fairmount Dr. SE) with musical accompaniment from Hypnopilot and tasty munchies provided by Dogzilla. A standalone event from the festival, the admission is $10 and includes the first pint. Capacity is limited to 50 people, but the beer will be available at the festival and liquor stores in the vicinity of the festival venue. Must be 18+ to attend. And if you miss the 420 Music & Arts Festival beer reveal, you can participate in the New Level Brewing Co. brewery tour with a beer tasting. Entrance to the event is free and there will be some great draft beers that you won’t see at the festival on tap! Flights of beer will be only $5 and there were be specials on take-home beer for all festival attendees. Tours will run on Friday, April 19th in the afternoon at 1 pm, 1;30 pm and 2pm. Must be 18+ to attend. Plus for pinball enthusiasts, 420 Music & Arts Festival will be hosting their first ever tournament at Pin-Bar (501 17th Ave SW) on April 20th. The is event is open to all, there will be prizes galore and $5 entry for 420 festival ticket & pass holders and $15 for general participation. The general public can watch the tournament for free. Practice session and registration begins at 11 am, the tournament starts at 12 pm and runs to 5:30 pm. The 420 Music & Arts Festival Expo will be a FREE event open to all festival attendees and the general public as well. There will be a variety of vendors including local artists, designers, craftspeople, unique local businesses and representatives from the Calgary Cannabis Community. The festival will also have some great Calgary food trucks in attendance and a few other unique offerings that will be announced in the coming weeks. The expo’s opening hours and days are as follows in the same building as the festival venue Town and Country Hotel (1825 50 St SE). The main event will take place at the County Line Saloon (1825 50 St SE) April 18-20, 2019 and will include the musical stylings of Crobot, Valley of the Sun, Disenchanter, Mark Deutrom‘s Bellringer, The Grudge, Great Electric Quest and more! Expanding the genre selection even more than past years, there is something for every rock and metal lover from groovy rock, to hard rock blues, to party metal and sludgy psychedelic rock.